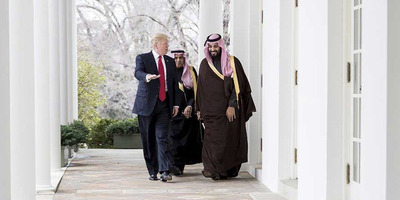 Trump doubled down on his defence of the Saudi crown prince last week, and said the US-Saudi relationship was “paramount” in his decision making. And reports emerged on Tuesday which said the White House is preventing CIA Director Gina Haspel – who travelled to Ankara and is said to have listened to the tapes– from briefing the Senate on its contents. Other intelligence officials have also been barred from a closed door meeting, ahead of a vote that would determine if the US would cut support for Saudi forces in Yemen, the Guardian said.